M&A in Boise: What Do You Know About Mergers & Acquisitions? 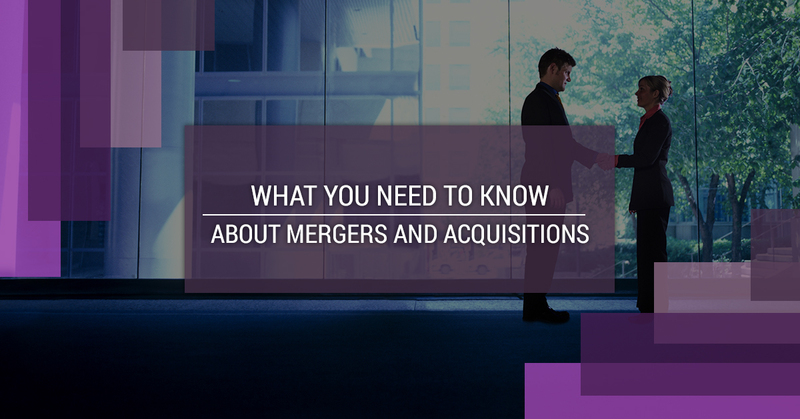 Mergers and acquisitions (commonly referred to as M&A) are often big news. There is a good chance that you’ve seen a story about either a merger or an acquisition in the news recently. Disney and Fox recently announced a billion dollar merger, as did CVS pharmacy and Aetna health insurance. Hersey is planning to acquire the Amplify brand. Oracle will be acquiring Australian company Aconex for more than a billion dollars. It’s happening all the time in the business world, but it’s not just big businesses that do it, either. M&A in Boise is a common occurrence, as businesses come together and buy each other in an effort to grow their share of the market. It’s not something that you should do lightly, though. It’s important to be informed about mergers and acquisitions and work with an experienced business lawyer who can make sure that your best interests are being safely guarded. So how much do you know about M&A? If you are a business owner, it’s time to brush up on your business law and make sure you know the basics of this important facet of the business world. What’s a Merger, What’s an Acquisition, and What’s the Difference? A merger occurs when two businesses join together to form a new company. They might continue to operate under one of the old company names or choose a new one. Mergers are generally amicable ventures because the two owners or CEOs have decided that joining the two businesses are going to be beneficial to all parties. Acquisitions are a bit different. Acquisitions occur when a larger company buys a smaller company and absorbs it into their holdings. This could be done amicably, but someone acquisitions happen in a hostile environment, such as when the smaller company doesn’t wish to be purchased but financially has no choice. Sometimes the terms are used interchangeably, but there is a distinct legal difference between the two. It’s important that as a business owner you understand the difference and the ramifications of both terms. How Do Mergers and Acquisitions Happen? There are a variety of ways in which M&A deals can come to be. Two CEOs might be competitors and determine that by joining their businesses, they can take over more of the market share and thus grow a singular business into something much more powerful and valuable than they could on their own. Or a larger company might decide to acquire a smaller company in order to gain access to its intellectual property, such as an invention or a piece of technology that they wish to use. There are a multitude of things that can bring the deal to the table. Once it’s there, a lot will depend on the valuation of the businesses. Valuation is the worth of the business that’s being merged or acquired. There are a variety of ways in which to valuate a business. If it’s a publically held company, then the value of the business will be based on the value of the stock. If it’s a privately held company, the valuation may come from a formula that looks at how much money the business makes each year, plus the value of any inventory it holds, or how much it would cost to replace the company as a whole. Other factors for valuations could come from the potential of the business in the future as well as the risks the company could be facing in the future. The final price will come down to negotiations. The acquired company will want to get the most possible and the purchasing company will want to get the best deal, so bargaining can become intense. Once the price is settled on, the paperwork can begin. Taxes. If the deal is done in cash, then you’ll be paying taxes on that money. If it’s done in stocks, though, then there are no taxes paid until the shareholders sell their stocks in the future. You could avoid a huge tax bill if you do a share-for-share deal. Management. Sometimes management stays, sometimes they go, and that can include the owner. As an owner, you should clearly understand whether or not you have a place in the new business or whether you’ll be kept on when your company is acquired. It’s likely that you’ll be required to stay on with the company for a period of two to three years after the deal, so make sure you are prepared for that to happen. Deals fall through. M&A can be tricky, tenuous, and fraught with emotions. Make sure you know the implications of what happens if the purchasing company pulls out and whether or not the smaller company has any recourse if they do. If you are considering a merger with another company or are interested in acquiring a smaller company in the Boise area, you’ll want to make sure you have an experienced M&A lawyer on your side. Contact Capital City Law for a free consultation with our legal team. You can give us a call or contact us through the form on our website and a member of our team will get back to you right away.